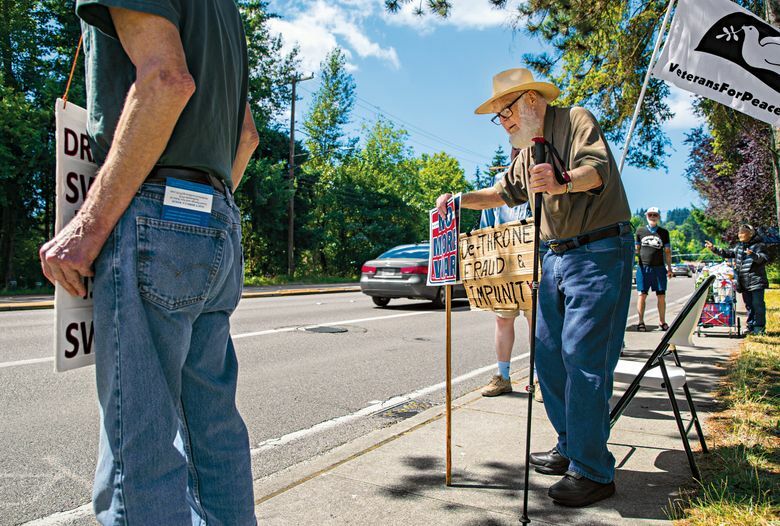 POSTSCRIPTS: The work of grass-roots groups is having an effect, reminding people there are nuclear warheads sitting 20 miles from downtown Seattle. ELECTIONS, AS POLITICOS like to repeat, have consequences. 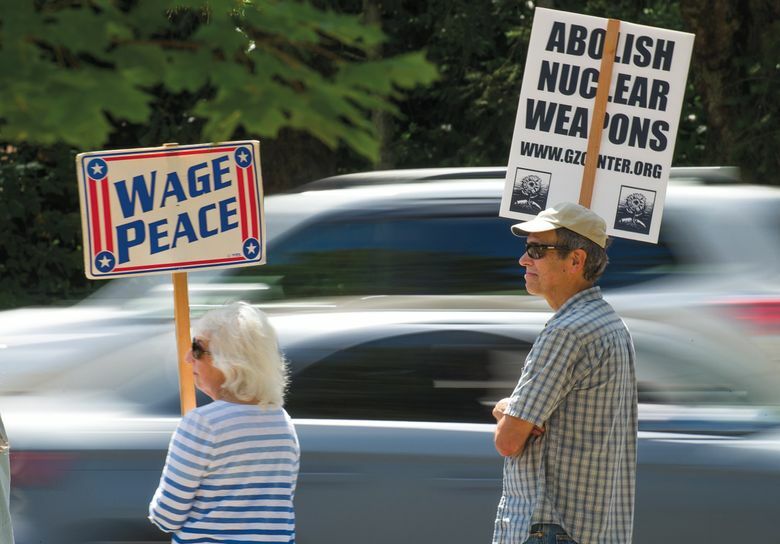 Thank goodness, say Puget Sound residents who continue to devote their time and passion to the seeming back-burner issue of nuclear proliferation. 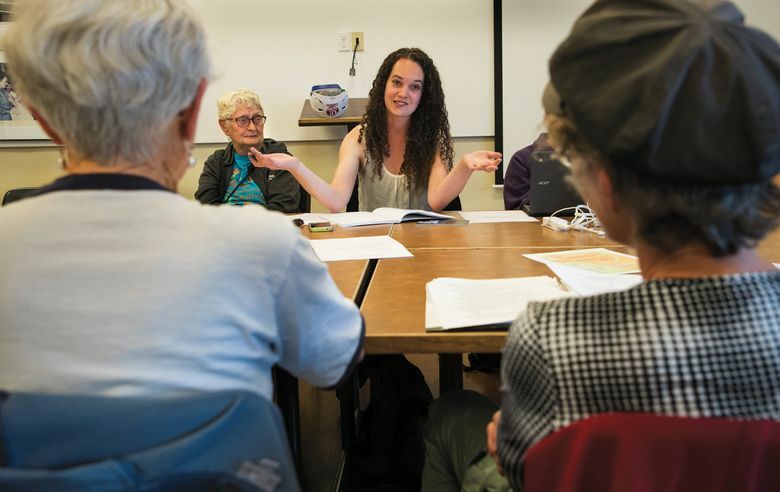 When we visited with members of the local anti-nuke movement in August, Lilly Adams, a young organizer of a new nuclear-watchdog coalition, Washington Against Nuclear Weapons, spoke of ongoing communications with members of Congress who seemed amenable to taking a fresh look at the nation’s nuclear strategy. Skeptics might have seen that as a longshot. But the advocacy was important, Adams said, in light of the Trump Administration’s embrace of earlier plans to “modernize” the nation’s nuclear arsenal — perhaps adding easier-to-use new “low-yield” weapons, which some armament experts consider destabilizing. Price tag on the full “modernization” package: about $1.7 trillion over 30 years. One of those congressmen was U.S. Rep. Adam Smith of Bellevue. And after the midterm election, Democrat Smith stands to become the new chairman of the House Armed Services Committee. Smith already has gone public with skepticism about the nation’s expensive doubling down on nuclear weapons — large numbers of which are Trident-submarine based missiles, which routinely sit within 20 miles of downtown Seattle. Smith’s committee is likely to also serve as a check on the Trump Administration’s bent toward abandoning existing nuclear treaties that collectively created the framework that reduced the number of worldwide nuclear weapons from as many as 70,000 during the height of the Cold War to around 7,000 today. 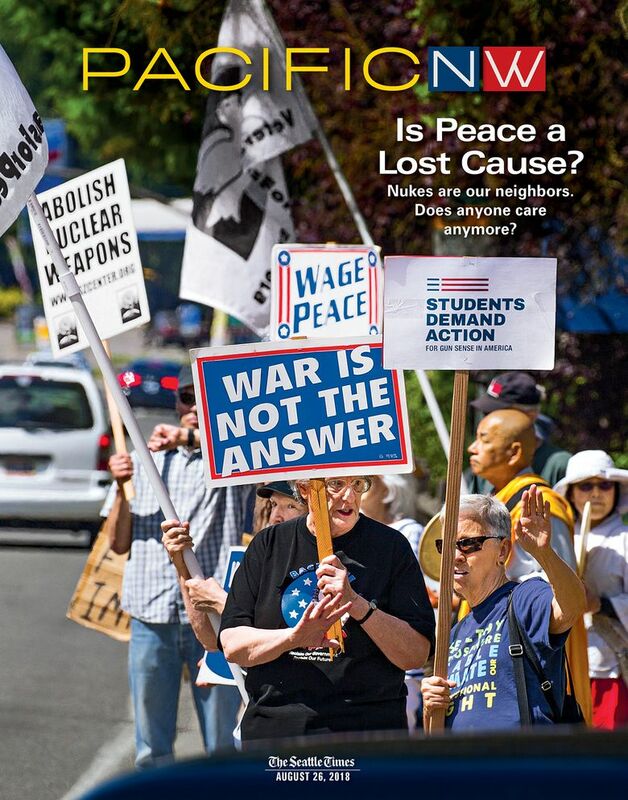 President Donald Trump’s stated intent to abandon the Intermediate-Range Nuclear Forces (INF) Treaty, signed by President Ronald Reagan and Soviet General Secretary Mikhail Gorbachev in 1987, is the harbinger of a new arms race, warns local activist Bruce Amundson, vice president of Washington Physicians for Social Responsibility. 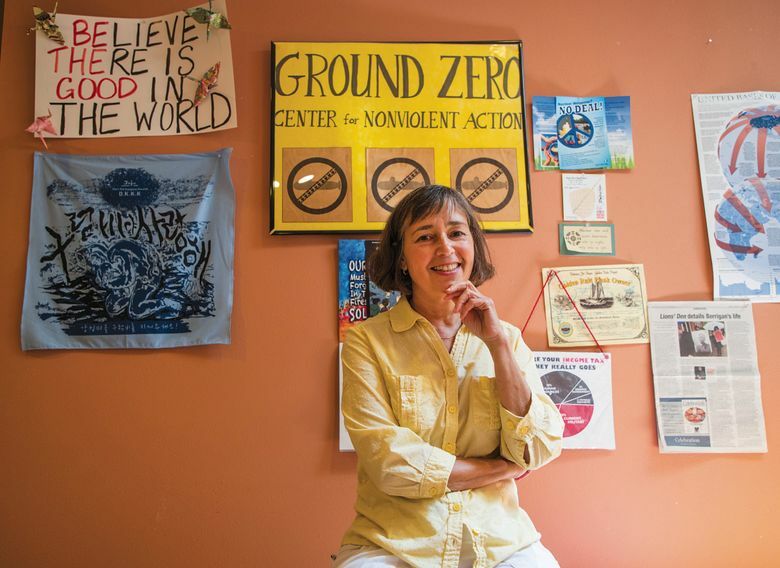 The good news, Amundson and Adams say, is that grass-roots groups such as Washington Against Nuclear Weapons, formed under the Physicians for Social Responsibility umbrella, are having an effect. 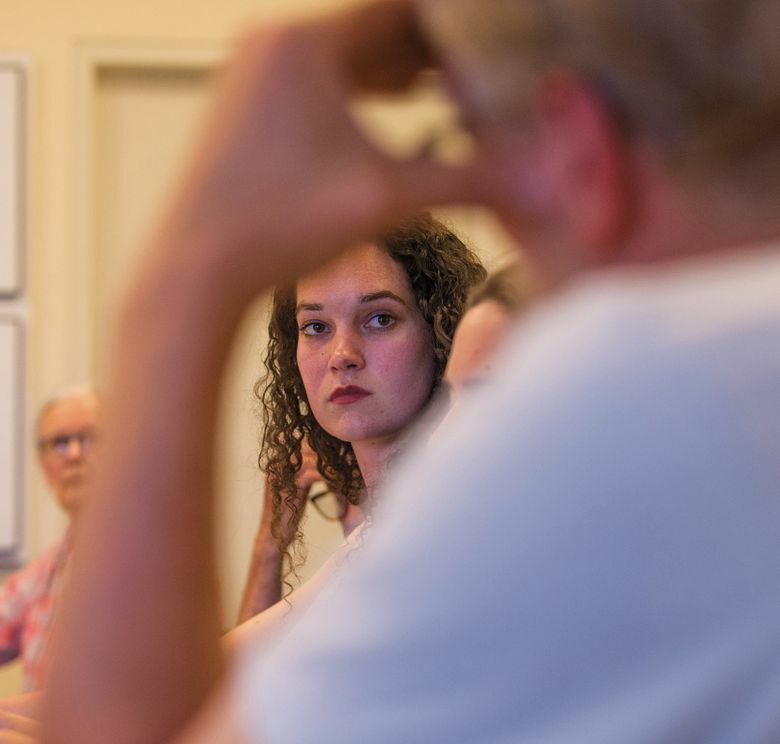 The broad coalition of labor, environmental, medical and social-justice organizations creates a grass-roots base that absolutely does get noticed in Congress, they say. The key to keeping it noticed, and keeping sensible defense spending and deployment on the table, is as simple as citizens continuing to bend the ears of their congressional reps, they say. 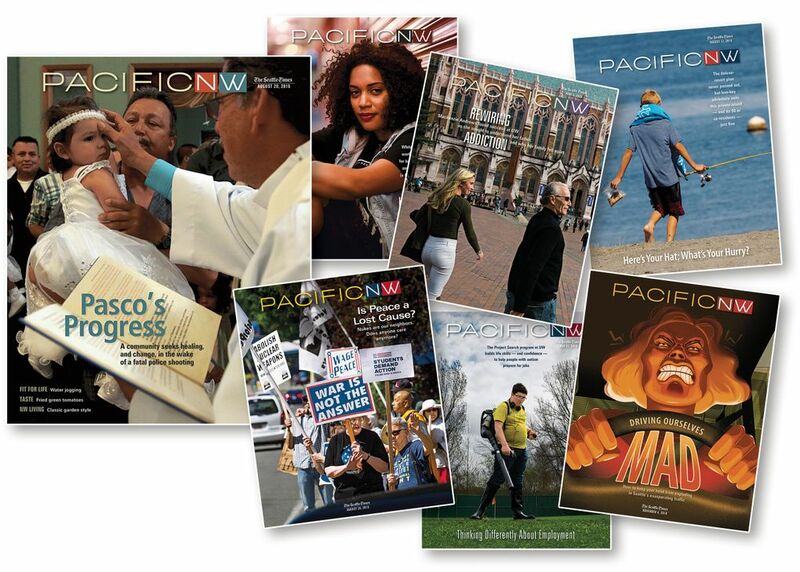 Ron Judd is a Pacific NW magazine staff writer. Reach him at rjudd@seattletimes.com or 206-464-8280. On Twitter: @roncjudd. Mike Siegel is a Seattle Times staff photographer.